Demand to see the warrant. Ask that it is slipped under the door or shown through a window. Only after confirming it is signed by a federal judge should you allow them to enter. If the officer does not have such a warrant (including if he or she only has an ICE warrant), you may instruct the officer to leave. is the idea of not actively cooperating with federal police acting against various minority groups in our society AND / OR of protecting such persons from others in the community who might wish to harm them. 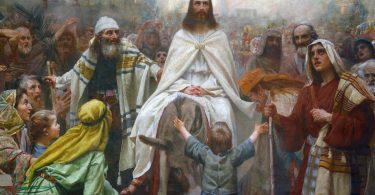 For Christians the idea seems to follow clearly from Jesus’ command to love our neighbors, and from Old Testament guidance about caring for foreigners, travelers, etc. This is a summary of key ideas from a paper the ACLU has distributed. It does not count as legal advice, but does enable some helpful awareness. This is an 8-page PDF that can be accessed here . Headlines and bolded questions are quoted from the article. The plain-text subpoints are my own very brief summaries. My summaries have NO authority – it’s just so you have an idea what to look for in the ACLU document. What does it mean for a faith group to provide “sanctuary” to immigrants? With regard to immigrants, [this is a quote] sanctuary is generally considered to involve providing comfort and assistance to immigrants and their family members at risk of apprehension by federal immigration authorities or mistreatment by others. Recently it often focuses on helping immigrants who are going through various types of legal procedure. 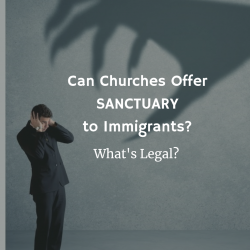 What criminal laws should sanctuary congregations be aware of? 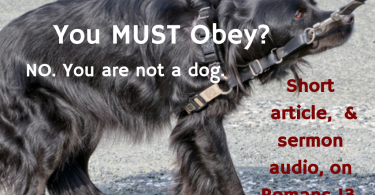 Laws against harboring and against transporting. What are some examples of activities that my faith group can participate in to support immigrants’ rights that steer clear of potential criminal liability? If a faith group publicly declares its place of worship as a “sanctuary” for immigrants, can that provide any additional legal protection to the congregation or to immigrants? “Sanctuary” is not recognized by federal law; provides no legal protection for members. It might help protect members since it shows openness. But it might put people being helped at further risk by drawing attention. Are there any risks that could result if a faith group makes a public declaration as a “sanctuary” for immigrants? actions are more risky for us now? [This paragraph is a quote.] Highest Risk: Providing housing exclusively to undocumented immigrants and actively concealing their whereabouts from the government. Transporting undocumented immigrants in an attempt to hide them from federal authorities. Minimal Risk: help provided to any and all regardless of immigration status, helping immigrants who are working through the system. [This paragraph is a quote.] Harboring is sheltering an undocumented immigrant and assisting him or her to remain unlawfully in the United States … with knowledge or reckless disregard of the immigrant’s unlawful status. Our congregation is providing food and shelter to an undocumented immigrant – can we be found guilty of harboring? Does the harboring law and risk of prosecution vary across the country? houses as an overnight guest? undocumented immigrant whose location is known by immigration authorities? Not usually. Intent to evade detection is important. Individual immigrant and their attorney should be involved in such decisions. What if the undocumented immigrant being offered sanctuary is currently going through and complying with immigration proceedings? That’s good, and also that their location is known to the authorities. Generally ok if not for purpose of concealment or remaining illegally. Does the ICE “Sensitive Locations” memo protect my place of worship from being the subject of an ICE raid? Can an ICE agent or law enforcement officer enter my house of worship without a warrant? What about private spaces? Public spaces, yes; private spaces, no. [This paragraph is a quote.] Demand to see the warrant. Ask that it is slipped under the door or shown through a window. Only after confirming it is signed by a federal judge should you allow them to enter. If the officer does not have such a warrant (including if he or she only has an ICE warrant), you may instruct the officer to leave. This document includes a sample to show what such a warrant looks like. [This paragraph is a quote.] An ICE warrant allows ICE officers to arrest an individual who is unlawfully residing in the United States. An ICE warrant does not, however, allow officials to enter a private space. To arrest an undocumented immigrant inside a private space, the officials must also have a judicial warrant, as private spaces are covered by the Fourth Amendment protections. Am I required to talk to a police officer or ICE agent if they enter the congregation and ask questions? No. Get an attorney. Be careful not to provide any false information. Are there defenses against harboring prosecution? Limited. Talk to a lawyer about your situation. It is a felony. Could be fines and years in prison. Can my congregation have its property or assets seized for harboring or transporting? Yes, but it’s been uncommon.